Insta360 announced today that its flagship 360-degree action camera, the Insta360 ONE X, is now available at Apple.com as part of an exclusive camera bundle. The launch of the bundle coincides with the release of a major product update that brings to the ONE X a new HDR (high dynamic range) video mode and easy, integrated support for uploading content to Google Maps Street View. The update is available via a free download for all ONE X users. The Apple-exclusive ONE X Camera Bundle comes with a range of versatile accessories, including a multi-function Bullet Time Handle that also serves as a tripod, an Invisible Selfie Stick, two batteries, and a protective carry pouch. With a free software update (version 1.1.0) available today, the ONE X becomes the first-ever action camera to offer built-in HDR video capture. HDR mode shoots video that looks natural and vibrant, with accurate highlights and lowlights — all with no post production work necessary. When capturing 360 video, lighting conditions vary in every direction, and high dynamic range is essential for getting video that looks and feels right. The HDR video mode shoots 5.7K at 25 FPS. The update also introduces a new capture mode for contributing 360 content to Google Maps Street View. Using the new mode, users can shoot 360 videos at their favorite locations and upload directly to Google Maps Street View from the Insta360 ONE X app. 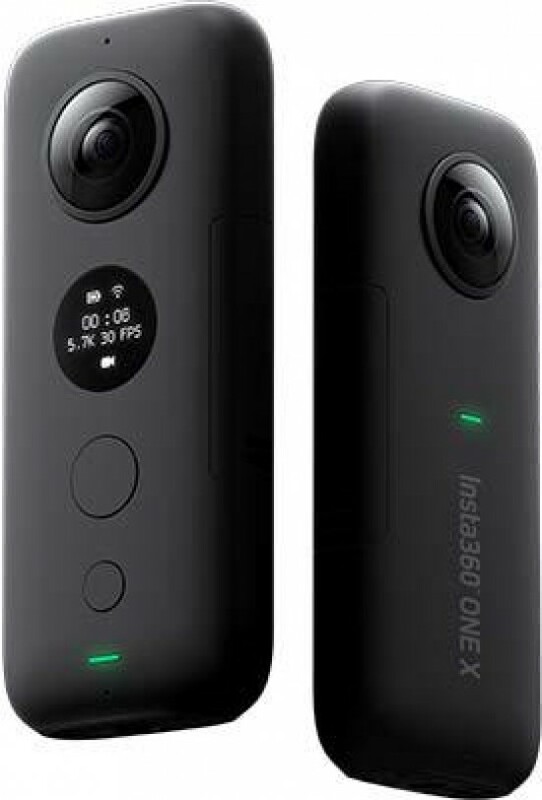 Videos will be automatically converted into a series of evenly spaced 360 photo spheres and viewable in Street View. It’s an amazing way for users to put their favorite places – both indoor and out – on the map. The Insta360 ONE X Camera Bundle is available today at Apple.com for $449.95 USD.